When people say that time has changed for kids, it probably means more than a usual difference in what kids do to while their time away and in what kind of technologies and materials are used to produce their toys. Gone are the days of the usual rickety slides or creaking swings while sticks and stones are almost unheard of in this generation. For Chris Knowlton, cardboard or wooden houses are not the thing for a two year old who might someday join NASA’s all-world conquering elite. 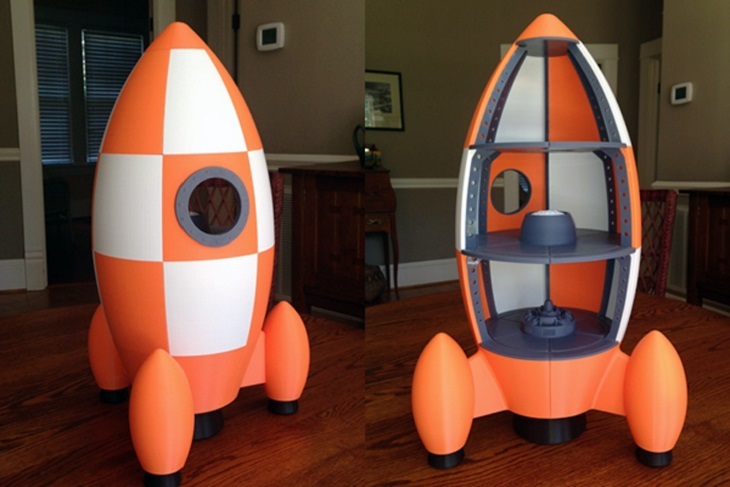 To while his own time away and to provide his grandkid with a completely new experience, Chris successfully 3D printed a rocket ship with the ever present astronauts and moon rover to help the little boy in his forays to these celestial bodies. If these kids have to dream, they might as well dream big and dream early. This amazing grandpa had as much fun as his grandkid when all was said and done. Although it took a significant amount of time and effort, the results are definitely fantastic. 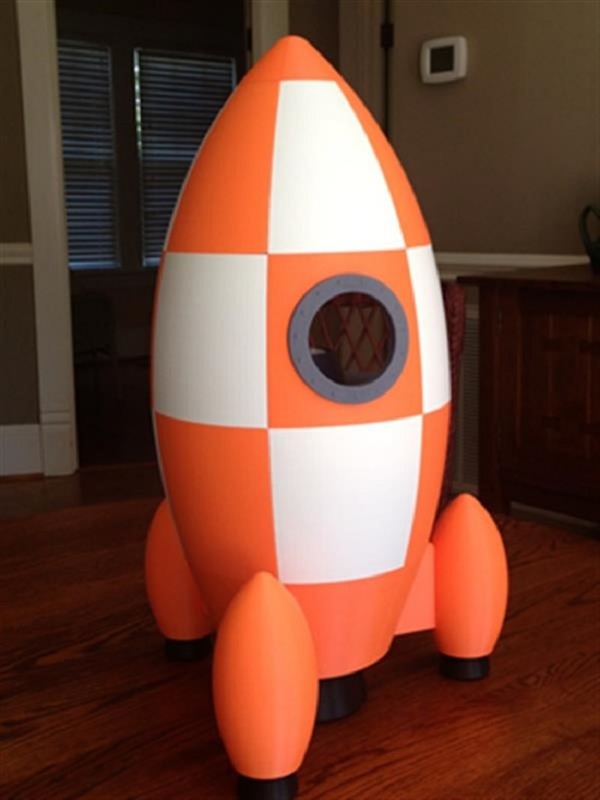 How many two year old boys can actually boast of 3D printed rockets ships and moon rovers that are lovingly made by no less than his own grandfather? Speaking of time and effort, Chris spent endless hours on the design and an additional 300 more for the printing. Surely, a mortal man with lesser inclination and dedication would have given up on this task halfway between the creation of the digital image and the actual printing. Luckily for the boy, he apparently has a superhuman grandfather. In his quest to bring about the best possible quality of the more than 195 components, he had to rely on the amazing Simplify3D software. For the uninitiated, Simplify3D has easily one of the best softwares by virtue of the high standards of the quality of the output and features an all in one software capabilities. Aside from Simplify3D’s software, he also had to depend on Autodesk Inventor’s mechanical design features. Proof of his high standards was the discarding of almost all parts that, he felt like, were nowhere near what he preferred them to be. With the Autodesk Inventor, the various parts’ designs and simulations were superbly sorted out and completed. 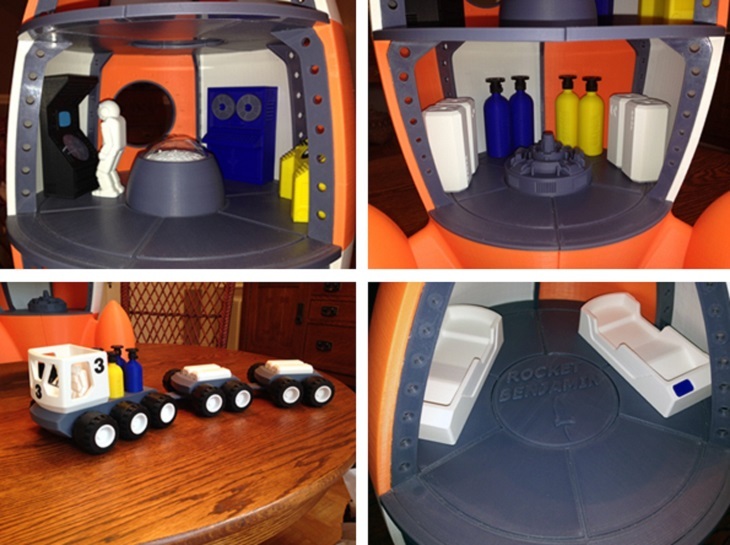 For a better perspective, the rocket ship contains the usual assortment of gadgets and life-saving devices like radar, flight control panel, oxygen tanks, and a lot more-all in 3D print. These things are also not the usual run of the mill or haphazard replications. They are detailed with precision and with extravagant care. More importantly, these objects do not have to be treated with gloves. 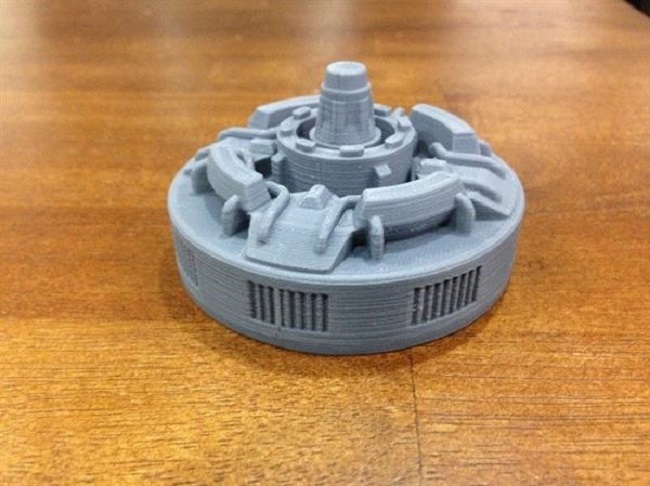 Since the designated user is a two year old boy who is bound to put the objects’ durability to the test right from the start, Chris designed the things with numerous layers on top of several layers by simply adjusting the settings of Simplify3D’s software. 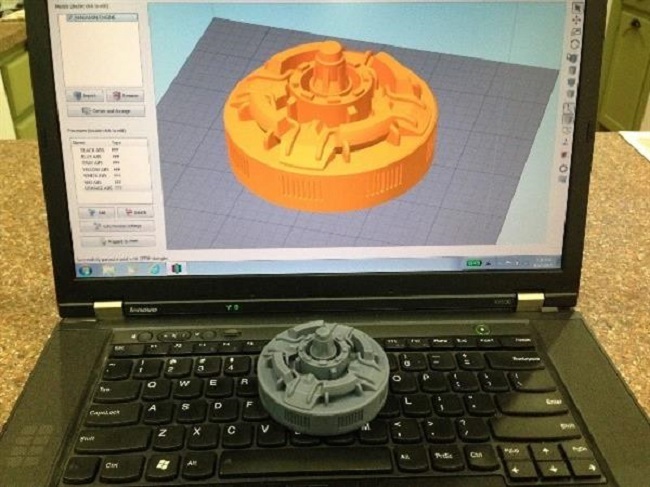 To get his desired results, he used a Printerbot Simple Metal 3D printer using ABS material. The year will surely bring all sorts of amazing playthings made by grandparents and other relatives, but for the sheer sense of adventure and use of detailed replications, this grandpa is surely hard to top.